Please email or call us if you have any questions, or fill out the form below and we'll be in touch. Thank you! Vistabule will in touch! If you are driving to us, look for these doors! 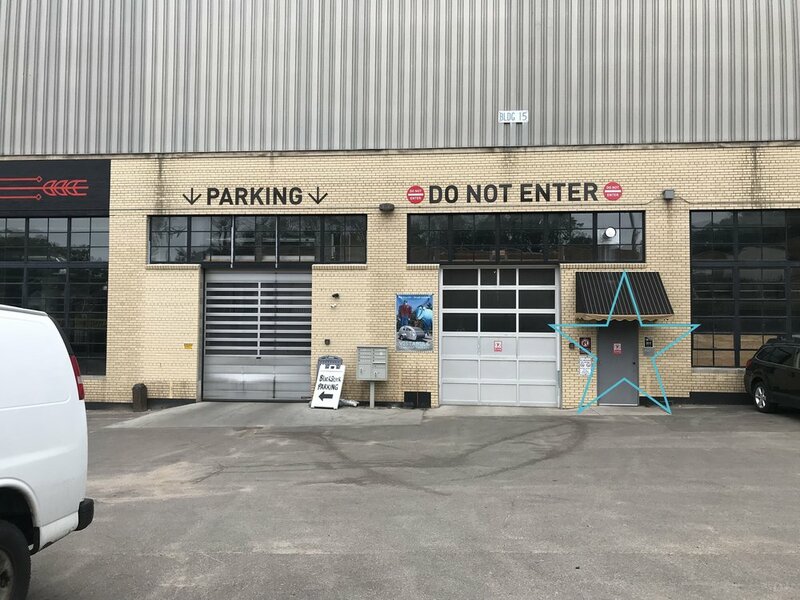 The blue star is where you should enter the building. Just north of Blackstack Brewery. You’ll see a green water tower and a large smoke stack from about a block away! Follow the smoke stack! You’ll want to park in the lower lot labeled for Can Can Wonderland and Blackstack Brewery.